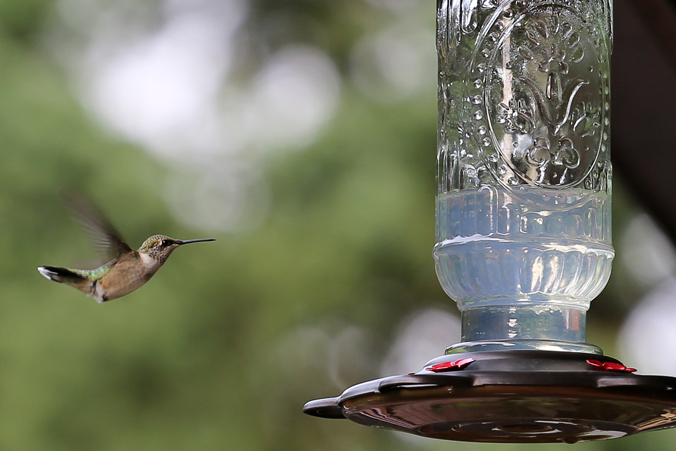 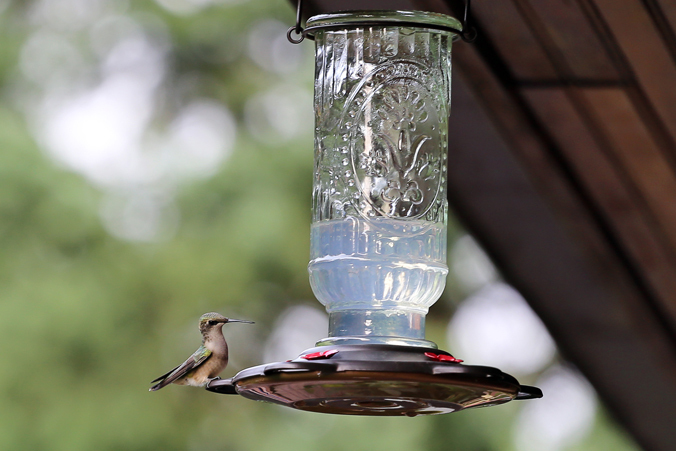 Our hummingbird feeder has been a popular hangout for, well, hummingbirds. 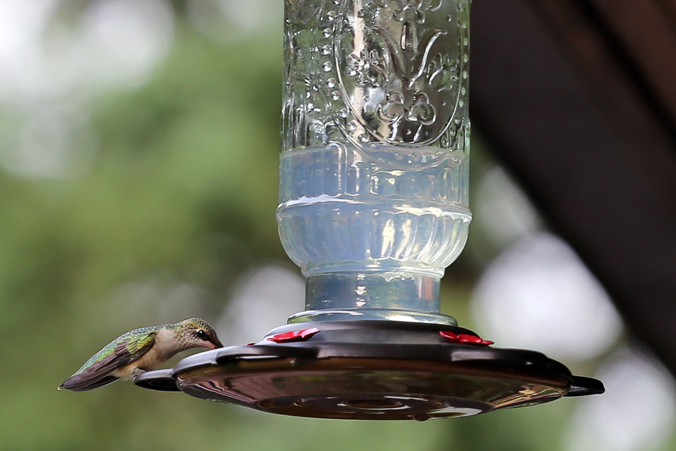 I finally tried to get some photos of the illusive little bird. 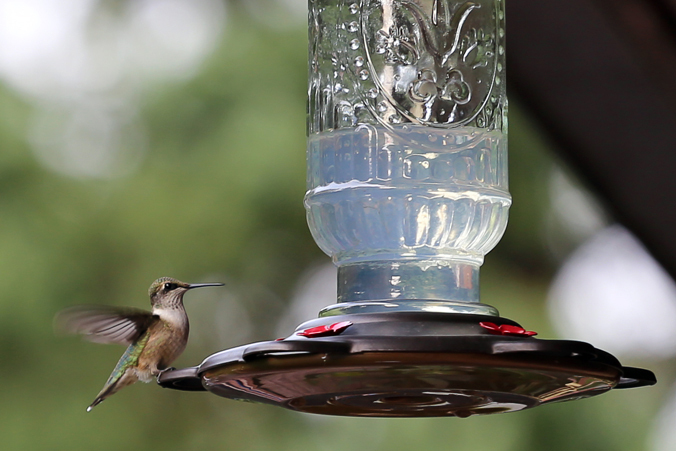 They never allow me to get close and sometimes the noise from the camera scares them away. 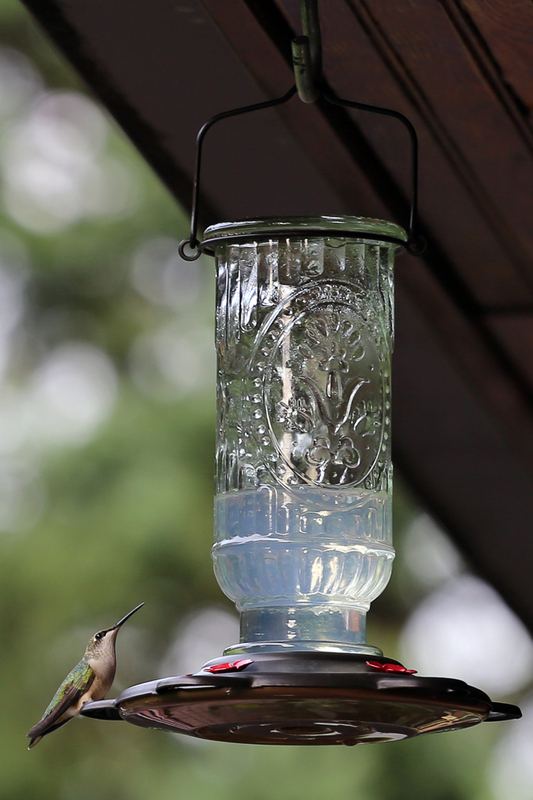 I had to keep a safe distance, so the photos have been cropped quite a bit to give you a front row seat.